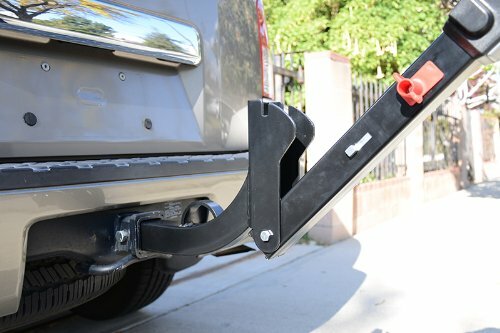 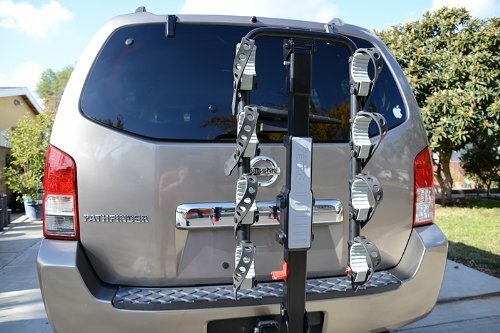 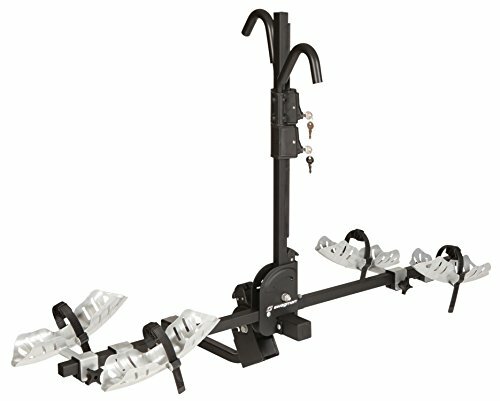 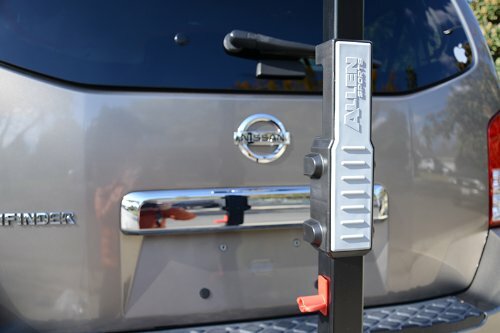 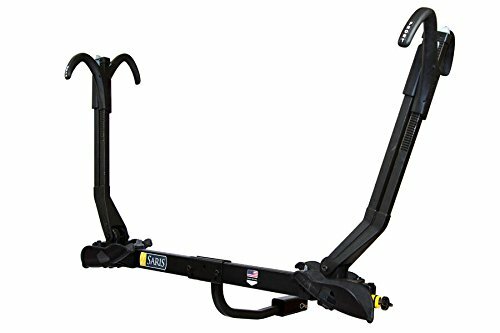 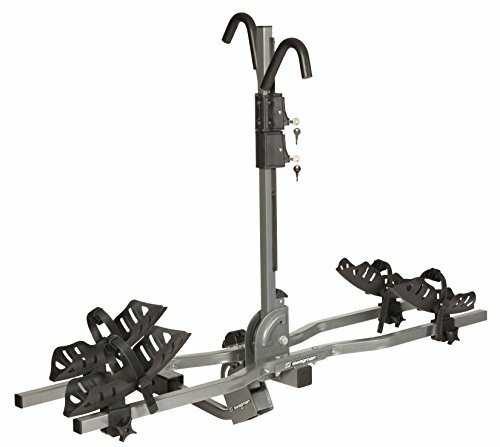 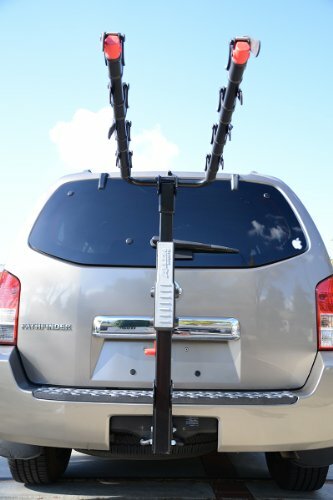 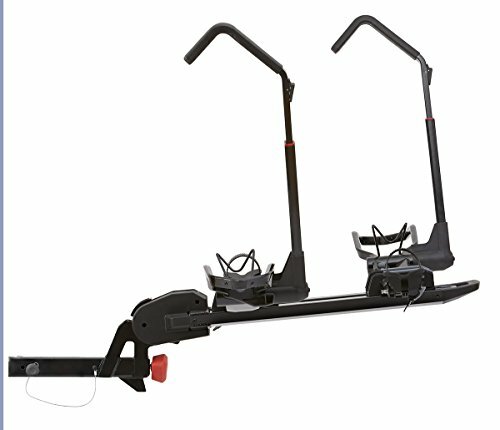 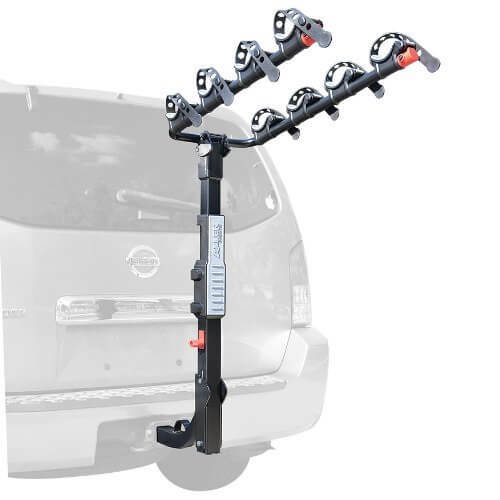 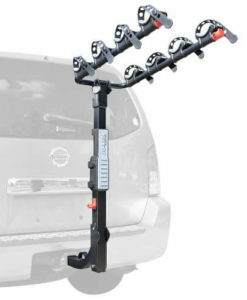 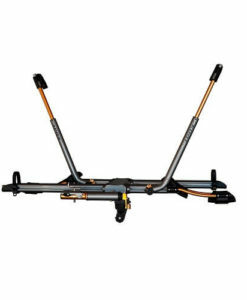 The Allen Sports Premier trailer hitch rack (model S545) delivers capacity for up to 4 bikes (up to 140 LB) and installs onto most standard Class III & IV 2 inch receiver hitches. 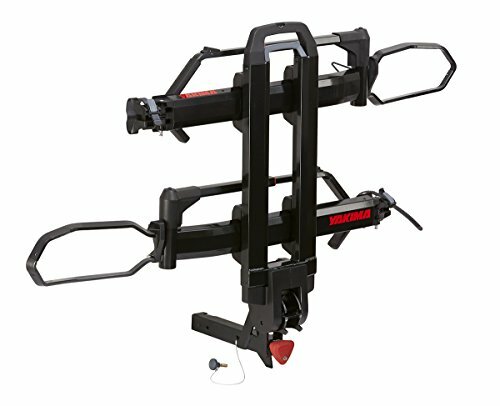 The S545 model features quick fold carry arms, dual compound tie-down cradles, no-wobble hitch installation and more. 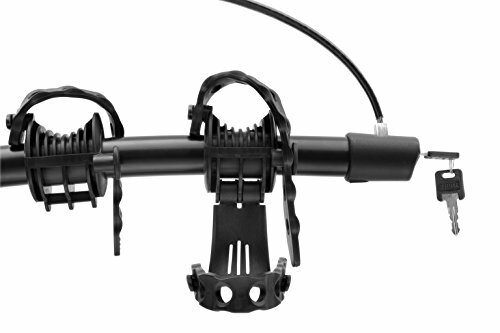 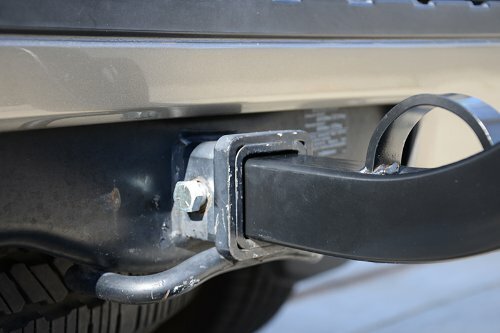 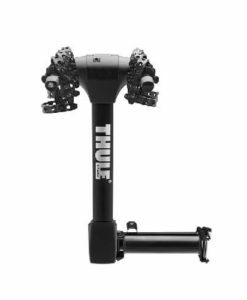 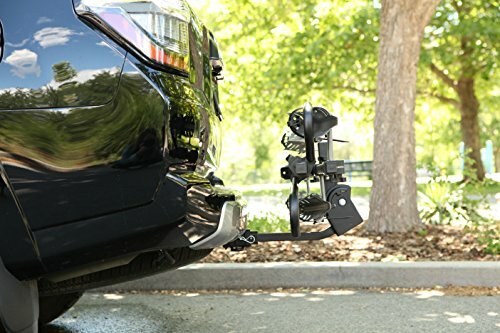 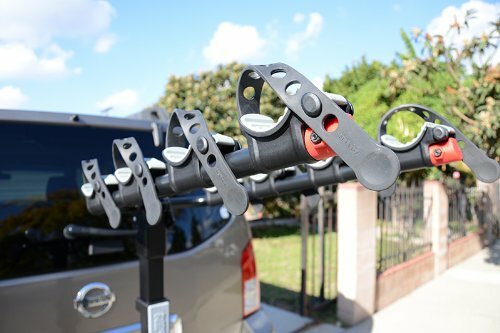 The Premier trailer hitch 4-bike rack (model S545) mounts easily to your 2″ trailer hitch. 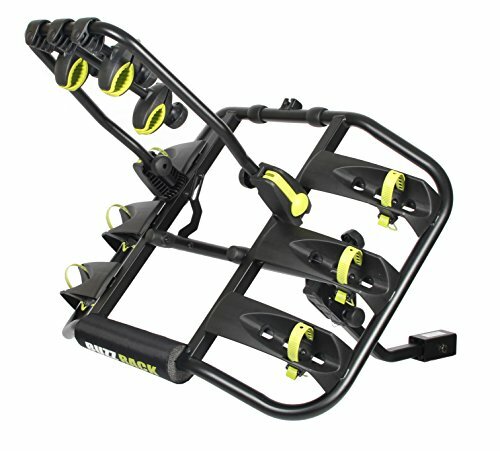 The arms “snap” into place right out of the box without any effort. 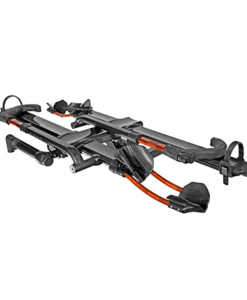 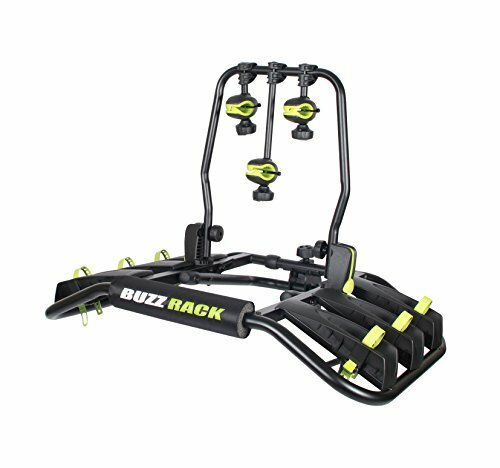 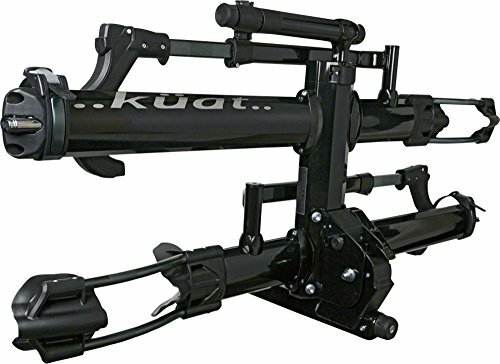 The new dual-compound cradle system securely holds your bikes in place and the rack’s large padded Spine Shield protects your bicycles. 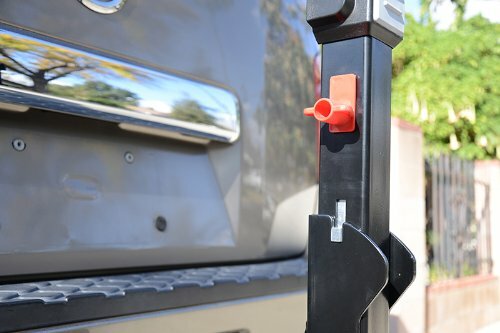 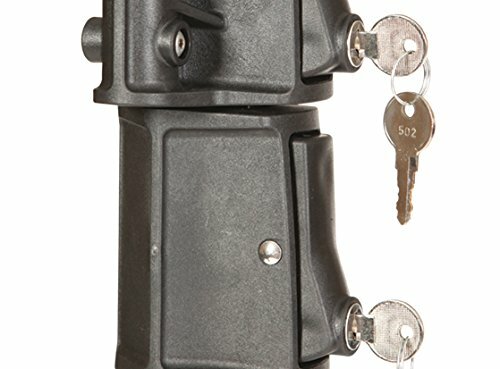 More than that, the new innovative tilt-away release makes it a snap to access your vehicle’s rear lift gate.